What careers are available in Australia? Australia requires nurses in the specialty areas of nursing where the shortages are most acute, rather than general Medical/ Surgical departments. How is Australian Nursing Different? Independence of operation with little supervision. Other nations were prepared to accept as low as 6.0. Australia requires overseas nurses to demonstrate their clinical skills in hospitals prior to registration. Australian nurses are accepted worldwide, usually without undertaking qualifying exams. How does this affect the career path I choose? Management needs to be confident that you can operate independently without supervision. 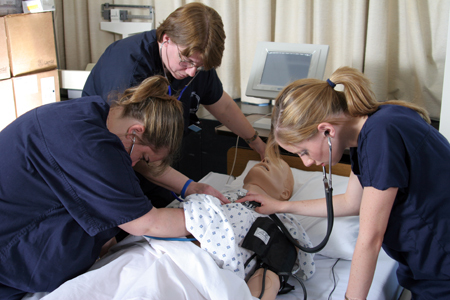 In many cases it may be necessary for nurses to undertake employment in less critical areas of nursing. This will enable you to adapt to Australian nursing culture and communication norms. Can I move from one sector to another? Overseas nurses who initially are not able to qualify for specialist hospital nursing positions, can apply for these once they have gained experience in less acute areas. Many of our nurses have moved from aged care homes to acute care hospitals, and from hospitals to aged care nursing.